Last month, I talked about the intricate system of On-Board Diagnostic scanners and their ability to read codes. And although scanners can give you an area of the problem, pinpoint testing will need to be done to determine what component in that area is faulty. Today, inexpensive scanners are sold at stores, but they are not worth your money. Many of these low-cost scanners available at auto-supply shops require a yearly subscription for updates via the internet which could make your car's computer susceptible to a virus. And, if you aren't capable of fixing the problem to the manufacturers recommendations with the diagnostic code given, then buying a scanner is impractical. Through one of these inexpensive scanners, you may have the ability to clear the code, but did you really fix the problem? If not, you could potentially create a larger, more costly mechanical issue. For peace of mind, spend the money, instead, on a professional diagnostic analysis with a mechanic who can then fix your car properly. Because we use OBD scanners every day at Lance's Superior Auto, we've invested in the leading scan tools available. Our Enhanced-Data scan tools are by an experienced certified Master Technician who is capable of diagnosing your car's computer codes properly. Our team of AAA-approved auto repair technicians, will use their extensive knowledge of mechanics to accurately analyze the codes and repair your car in accordance with manufacturer's recommendations to ensure the intended performance of your car. 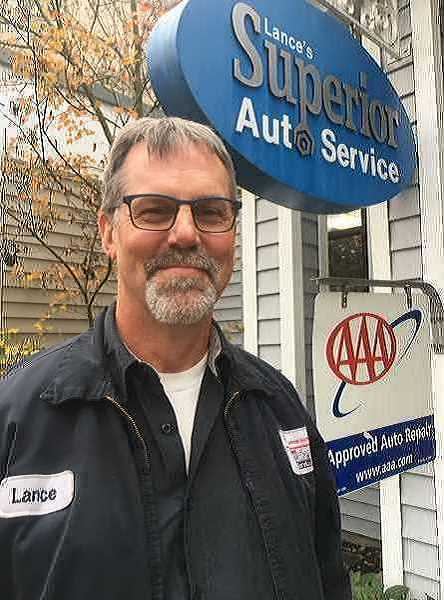 At Lance's Superior Auto, we care about the way we diagnose and service your car.